Finalist from the last year’s men’s singles championship in Djokovic and Wawrinka both qualified for this year’s semi-final but faced different opponents which meant that should they win their matches; they’ll again meet each other for the Rolland Garros final – which Wawrinka won last year over the world no.1 Novak Djokovic. Djokovic in terms of ranking had a much easier competition in front of him in Theim (ranked 13) comparatively to Wawrinka who faced the current world no.2 in Andy Murray – the strong hitting tennis ace from the UK, someone who’s won the prestigious Wimbledon but is yet to make a mark on the French clay court. Thiem beat Goffin in his quarter final match and set up the semifinal against Djokovic and he was in for a tough match; that he knew but the kind of sheer genius that Djokovic showed against him in the match, was well; let’s say to an extend expected. After all, Thiem is still fairly new to the circuit and aged just 22 – he still has a long way to go and Djokovic is at the peak of his tennis form. Djokovic’s impeccable forehand past Thiem is being rated by many as the best shot of the tournament and became an instant hit with the French tennis fans – who’ve been extremely patient all this week alongside the frustrating rains and immense problems across the city of Paris. The Serbian cruised through the match with a little hiccup in the third set from which he picked himself up like a champion and the scoreline read 6-2 6-1 6-4 in favor of the world no.1 who was through to yet another French Open final – the only grand slam missing from his illustrious career to make himself included amongst the prestigious group of players with an “all-slam” i.e. all 4 grand slams. Thiem post the match admitted to making mistakes but ranked this week as one of the finest in his career, having learned immensely from it; hoping to execute what he has learned in the next month’s Wimbledon. It is though certain that this week will get Thiem into the top 10 of the men’s ranking – something to be proud of; considering he’s 22 and is starting to look bright on the tennis circuit. 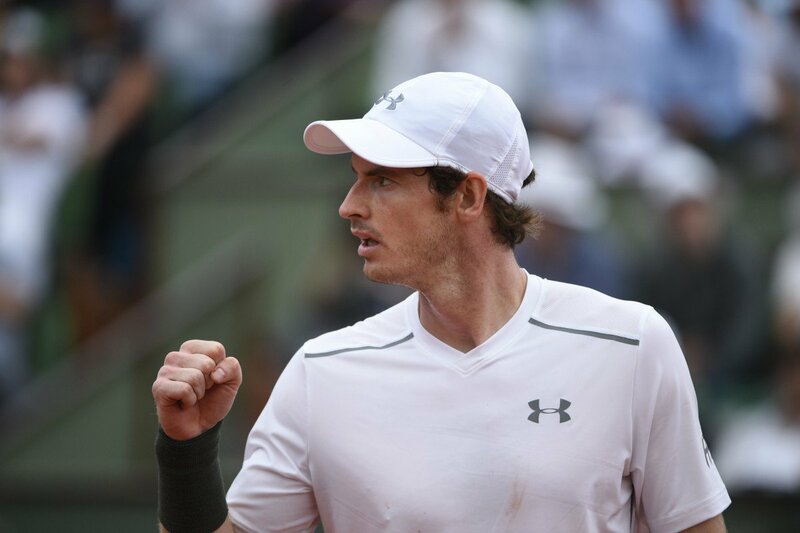 The next semi-final clash was between Stan Wawrinka, the defending champion facing-off with Andy Murray. While, the fans rated Wawrinka the favorite to win; the best bet was Andy Murray who’s clearly looked more superior in form in comparison to Wawrinka whose backhand has not been as lethal as it was last year. The first set went to Murray 6-4 whose aggressive cross-court shots came rocketing past the net to Wawrinka – who looked troubled by Murray’s shot making. There was very little to note from Wawrinka’s side in the second set too, as he lost 6-2; Murray continued his dominance in the match. The 3rd set saw Wawrinka play much according to his potential with his range of shots coming into their own and the forehand enabling him to squeeze some crucial points his way, he won the set 4-6. The 4th set was crucial for Murray as another 5-setter and that too in semi’s is not what you’d want being 2-1 up and therefore fittingly Murray put all his energy into this decisive set; making Wawrink pay for his vulnerable serve, breaking his serve twice meant put Murray in front, from which he won the 4th set 6-2. In the women’s draw where the matches are taking place without a day’s break due to the abandonment of day 9; the American no.1 seed in WTA Serena Williams is continuing on her epic journey to a possible 22 slams – equaling the record of Steffi Graf. Williams beat Bertens in the women’s semi-finals 7-6 (9-7) 6-4 to clinch a final birth and get a step closer to the grand slam tally of 22. In her way though will be the strong Spaniard Muguruza whose been a force to be reckoned with in this year’s Rolland Garros, thrashing the former French open finalist in Stosur 6-2 6-4 to get into the finals of French Open, the momentum sure is with Muguruza and she’s nothing to lose but all to gan. Muguruza is ranked 29th in the world and will be taking on the world no.1 in Serena Williams whose under the pressure to win her 22nd grand slam– it’s ought to be a great clash for the French Open crown.